Baseball season has finally arrived. On Monday, April 4th, the most unpredictable team of the last half decade will get their 2016 campaign started as they take on the Indians in Cleveland. There is an endless list of question marks surrounding the Red Sox this year. Will they win the World Series? Will they finish in last place? It’s ridiculous how hard it is to lean one way or the other, but that’s what this team has come to. Since 2010 we’ve seen one incredible championship season amidst an array of last place finishes and late-season collapses. Sure, they made a couple big pickups in the offseason, but we’ve said that before and things didn’t exactly work out the way we envisioned. The last time it was fun to be a Sox fan was the moment Koji Uehara struck out Matt Carpenter to clinch the Series in 2013. I had a hell of a time that night, I’m sure everyone did. But since then we’ve experienced nothing but disappointment. While I would love to have another reason to pour champagne on myself, at this point I’ll settle for any reason to even get excited about baseball again. Right now I would consider myself mildly hyped because the season is about to start, but if we stumble out the gates and find ourselves in that all-too familiar position of last place at the end of April I’ll lose interest faster than Pablo Sandoval can gain weight. This isn’t because I’m a fair-weather fan. It’s because I, as well as the rest of Sox Nation, am sick of losing. Will the David Price addition help? On the days he pitches, yes it will. The rest of the games are really a toss up at this point. The bullpen should be stronger, Craig Kimbrel was a huge signing. I also really like Carson Smith but unfortunately he’s banged up to start the year. Of course it’s impossible to not be optimistic about the young talent on this team. Mookie is a stud. Xander, Shaw, and JBJ are all oozing with potential. Vazquez and Swihart are both phenomenal catchers. You know you’ll get a solid contribution from Brock Holt. Papi will do what Papi does. On paper the only problem is the starting pitching, but as we know that could be a huge problem. I think there’s a slim possibility for this team to win the division, but more likely that they’ll be fighting for the Wild Card if they can remain healthy and not drastically underachieve like they have for five of the last six years. Prediction: 87-75, good enough to contend for the Wild Card. Some baseball in October would be nice. Pitching has been a huge problem for the Red Sox the last two seasons, and I don’t see those issues totally fixing themselves in 2016. The addition of David Price at the top of the rotation is a great start, but after that the same questions over the consistency and quality of the rotation remain. Clay Buchholz can’t be relied on at all in any aspect, and the fact that he’s the No. 2 starter should be concerning for everyone. Rick Porcello was bumped down to the No. 4 spot behind Joe Kelly and hasn’t had a good Spring Training. Granted it is exhibition baseball, but what proof do we have that he can keep things together and deliver quality starts? The offense will be the driving force this season, and the duo of Mookie Betts and Xander Bogaerts will both be in the MVP discussion at the end of the season. David Ortiz will give it all he’s got in his final go-round, and he might not hit his usual 30-100 this season but he should still have enough in the tank to produce at a high level. If Hanley Ramirez can just be competent that’ll be a huge plus. The addition of a proven closer like Craig Kimbrel will shore up the backend of the bullpen, although seeing Carson Smith start the season on the DL is a bummer. Overall, I see the Sox rebounding and challenging for the American League Wild Card with 85 wins. For the first time in three years, there’ll be meaningful baseball played in August and September in Boston. Nobody in the AL East scares me. Besides the Red Sox. This is either going to be a fantastic season or a complete disappointment. If this pitching staff can just make it 6 innings giving up 3 runs or less then I don’t think anyone is going to challenge us seriously. The offense is going to be great. 1-9 the Red Sox are deep and can plug guys in any number of spots in the lineup and still be dangerous. I am not worried about the bullpen now that Craig “I throw hot fire” Kimbrel is in town. I will be surprised if the Red Sox don’t make a deep playoff run but I will be more surprised if they don’t make the playoffs. Only because I think the AL East is going to beat up on each other and I just think the Sox have a better team than the rest. Prediction: 91-71. Good enough to win the division. The Red Sox’ season is looking like it could be a great one. With key additions such as David Price, Craig Kimbrel, Carson Smith, and Roenis Elias, the pitching appears to be refurbished. The hitting looks strong as it always does with guys such as Mookie Betts and Travis Shaw stepping up in the spring. In Ortiz’s last season, there will truly be a different feeling in the clubhouse; there is certainly some motivation there. Could the Red Sox go all the way and win another title? I truly believe so. 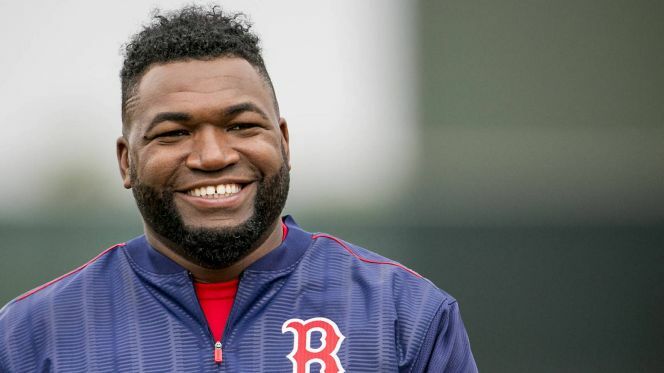 With Ortiz announcing his retirement and an improved team, things are certainly looking up for the Red Sox and all the components of a magical season are there. Prediction: 89-73, will contend for a title. With the 2016 season approaching will the Red Sox be a boom or bust? Well to start, they are looking at nearly $40 million dollars on the bench to begin the season in Pablo and Castillo. This shows that the team is all about winning games and playing their talent rather than their wallet. With David Price as the ace of the club, and the rotation being as good as it can be with the talent the team has, I think defensively the Sox will be fine. They will just have to try and get in the “swing” of things at the plate. They have the talent and strength to be a great hitting team like they were in 2013. Clearly the Sox have belief in Ramirez playing first: that could change if he ends up slipping. Travis Shaw and Mookie Betts are on the rise and Dustin Pedroia is still reliable so I don’t see why there should be any issues offensively. They will need to win games through pitching and finish their games in the 7th, 8th and 9th innings. In the last 10 seasons the team has 5 – 90+ win seasons. Prediction: The Sox will finish 84-78 and contend for the Wild Card.